By far the most anticipated reveal was the RS3 sedan. Europe has been able to dangle its RS3 hatchback over our heads for a few years now, but it is finally America's turn to have a taste of this amazing hot hatch. Well, sedan actually. 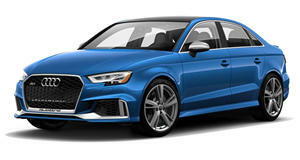 Audi made the decision to turn the RS3 into a sedan for the US market because Americans just don't buy hatchbacks. This was the same decision that Mercedes made turning the A45 AMG into the CLA. The RS3 will lose its hatch, but keep its 2.5-liter 400 horsepower five-cylinder engine. We think that the RS3 does look slightly better as a hatchback, but we really can't be upset that Audi is finally giving us what we always wanted. Kudos Audi for making the RS3 work for the US. The other model that was almost as highly anticipated was the A5/S5 Sportback. We already loved the Audi S5, but Europe got the amazing Sportback version. 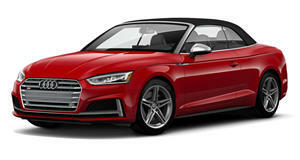 Basically, Audi took the amazing looks of the S5, and added two doors. 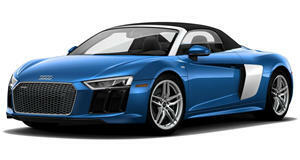 The result is a car that is better looking than the more subtle S4, with the same practicality of the larger S7. Not only does the S5 Sportback have four doors, but it also has a cleverly disguised hatchback for amazing cargo space. The S5 Sportback certainly doesn't look like a hatchback, so this one could actually sell well in the US as the A7/S7 has done. The Sportback will share the same drivetrain as the normal A5 and S5, but give us that style we always craved. The last reveal was not so much a jaw-dropper, but simply a very smart move. 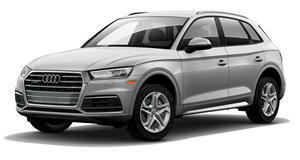 Audi's best selling model in the US model in the US was the Q5 SUV. However, the Q5 was living on borrowed time with a subtle refresh, but no serious mechanical changes. The new Q5 borrows a lot from the new A4 on which it is based. The interior looks very much like the new A4, which is good. There will even be an awesome new 3.0-liter V6 diesel with 286 hp and 457 lb-ft of torque, although the US might not get that model. In order to keep Mercedes and BMW on their toes, Audi needed to make sure that its best selling model got a sufficient refresh. Audi certainly delivered that.